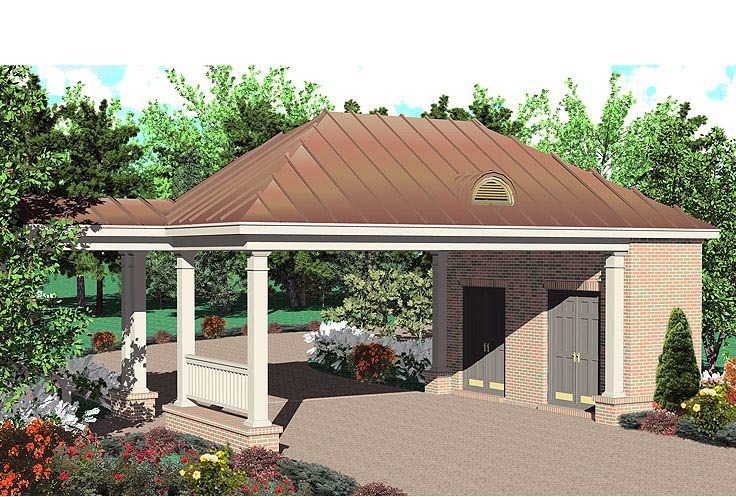 Add sheltered parking and storage to any residence with this thoughtful carport plan. 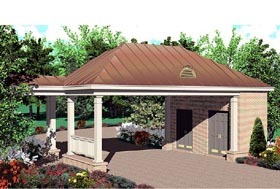 The parking area is supported by 10” posts and provides 694 square feet of covered area including the breezeway. Two storage closets (145 square feet) provide plenty for room for outdoor items or car care supplies. Protect two automobiles and make use of extra storage space with this carefully designed carport plan.